As a pedestrian injury lawyer in Bridgeport, we know that pedestrians are some of the most at-risk victims of accidents on the streets today. A pedestrian does not have the safety features of a vehicle, like an airbag or seat-belt, so they will be injured if they are hit by a car, truck, bus or motorcycle. Therefore, it is critical to be aware when you are walking on a street. If you have been in an accident, you are going to have medical bills and other financial burdens that a pedestrian accident lawyer Bridgeport can help you with. According to the National Highway Traffic Safety Administration, there were 4,735 accidents involving pedestrians in 2013 alone. Of these, 14 percent included a fatality. In addition, a total of 3 percent of all traffic accidents in that entire year involved pedestrians who were injured or had to seek damages. In times like these, you want to make sure to have a pedestrian accident lawyer in Bridgeport working for you to ensure your rights are protected. 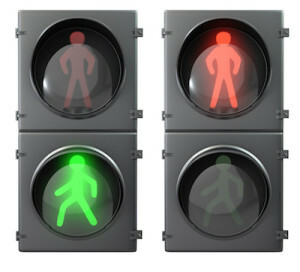 Where Do Pedestrian Accidents Take Place? According to the same report by the National Highway Traffic Safety Administration (NHTSA), 73 percent of all pedestrian accidents took place in urban areas like Bridgeport, Connecticut. The additional 27 percent were in rural areas. Sixty-nine percent of the pedestrian accidents happened in non-intersections, with 20 percent happening at intersections, and 10 percent of pedestrian accidents happening in other locations like parking lots, biking lanes, driveway access points, medians, and crossing lanes, just to name a few. 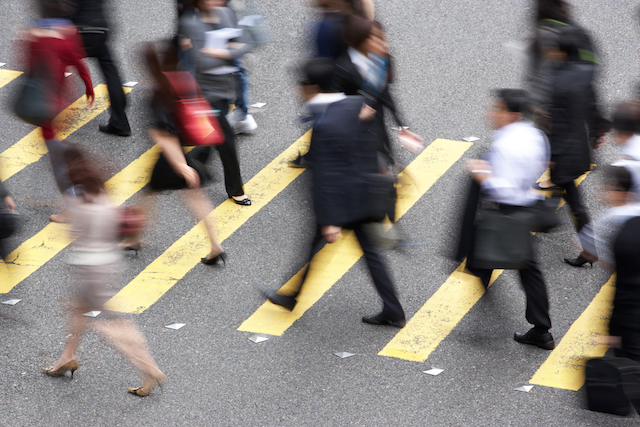 When Do Pedestrian Accidents Take Place? A detailed look at the issue shows that a large number of pedestrian accidents happen after dark. According to the NHTSA, 72 percent of all accidents involving pedestrians happen at night, 25 percent happen during daylight hours, 2 percent happen at dusk, and another 2 percent happen at dawn. In addition, we know that highest number of pedestrian accidents take place between 6:00 p.m. and 9:00 p.m. and that the lowest take place between 9:00 a.m. and noon. Those numbers are 26 percent and 5 percent, respectively. A car accident attorney in Bridgeport will tell you, and most insurance companies and doctors will agree, that a car travelling at 10 miles an hour with several thousand tons of weight will do serious damage to a pedestrian. If the car is travelling at a speed of in excess of 30 miles per hour, the chances of a fatality go up significantly. Unprotected pedestrians will always get the worst of the accident, which is why it is so important to have the right car accident attorney in Bridgeport representing you in these cases. Accidents can be traumatic. In the moment, you may be mentally shocked and physically injured. Still, it is important to get the medical attention that you need. After this, the next and most important thing, is to get in touch with your own pedestrian accident lawyer before you speak with other attorneys, the other party, or insurance companies. If you or a loved one has been injured and need help, call Bridgeport Personal Injury attorney Jim Miron to set up a complimentary consultation to discuss your case. Disclaimer: Official website of Jim Miron, Attorney at Law - Partner of Zeisler & Zeisler, P.C. The information throughout this law firm website is not intended to be taken as legal advice. The information provided by Attorney Jim Miron is intended to provide general information regarding comprehensive legal services for clients in greater Bridgeport, Connecticut and nearby areas including Stamford, New Haven, & Waterbury. If you are interested in finding out more, please contact our law firm today for a personal consultation. This website is not intended for viewing or usage by European Union citizens. Read our ADA compliance disclosure.